Graze - First Snack Box FREE! 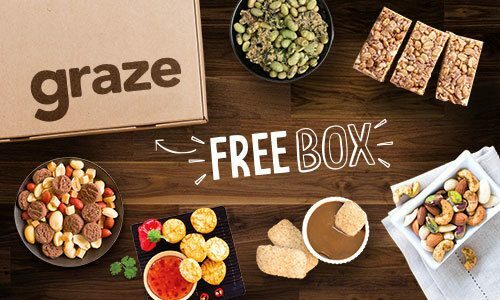 You are here: Home / FREEbies / Graze – First Snack Box FREE! Graze – First Snack Box FREE! Sign up at Graze.com To Get Your First Snack Box FREE! Each graze box is made up of perfectly portioned snacks customized for each individual based on taste preferences and dietary requirements. Available as a weekly or bi-weekly delivery nationwide to your office or home. Several different box options that showcase our assortment of 100+ snacks including the Variety Box, Sharing Box, Calorie Count Box, Sugar Count Box, and more!